Created for “Tokyo Plastic – King of the Monsters” Show that opens April 26, 2008 at Toy Tokyo’s Gallery “Showroom NYC” in the East Village at 117 Second Avenue, 2nd floor. 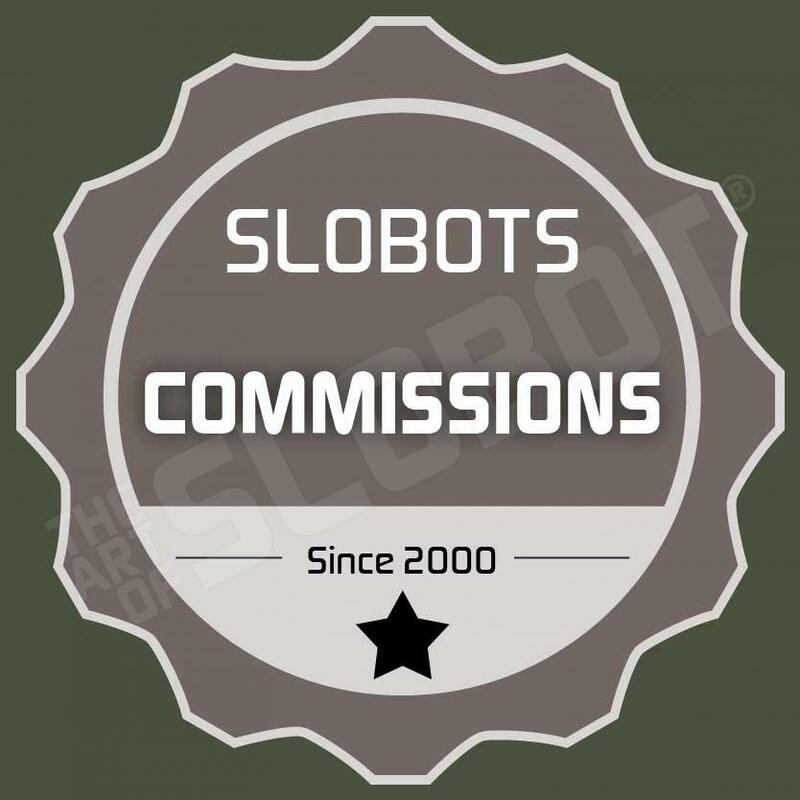 This Slobot is a custom 12″ Tokyo Plastic Kokeshi or Geisha figure. 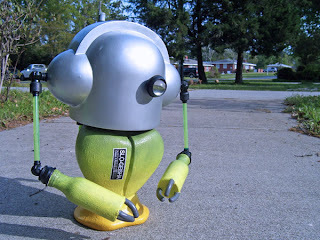 Included in the construction are a mirrored eye, clear acrylic and moveable arms, unbelievably cool “cables” on the back, and a custom yellow to green fade paint job. Created for “World of Imagination” Show that opens April 25, 2008 at APW’s Gallery in NYC’s Lower East Side at 195 Chrystie Street, Suite 200. 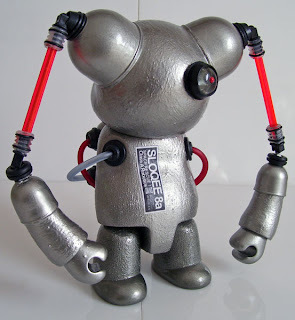 This Slobot is a custom 8″ Cat Qee by Toy2R. Included in the construction are a solid silver paint job, a trippy clear eye, and moveable, clear acrylic arms.